It’s highly unlikely you don’t know about the Seiko SKX. If you’re a ‘watch person’, it’s a baseline staple and if you’re not, it’s the generic image used for dive/swim watches all over the world. There are many iterations and modifications of the SKX (even my own is a mod) but each edition represents an absolute giant among watches (figuratively speaking) and frankly, an unsung hero. So why is it so special and why don’t people recognise it like say a Submariner or a Seamaster? Seiko SKX007 courtesy of Recensioni Orologi. Well, let’s deal with that second question first. I should start by pointing out - and I’ve written about this before - Seiko is a bit of a weird brand. It is capable of all of the quality of Rolex or Omega but to the uninitiated is more recognisable as something you might see in Argos. Seiko mass-produces their watches which means they lose the right to exploit ‘craftmanship’ in the same way you might see from more expensive brands. Some decades ago they had the audacity to run marketing campaigns based on the accessibility of their machine-made goods; essentially, why would you pay £5,000 for a man-made watch when we have something just as good for £200 (it was probably far less, I’m afraid I wasn’t around but you get the picture). Some of the names more synonymous with luxury - Rolex in particular - also limit the amount of a certain model available so that if you want to buy new you have to put yourself on a waiting list. Seiko don’t bother with this, Instead they seem to be able to smash out as many models as we can consume, meaning that exclusivity isn’t really an option and accessibility wins. Anyway, onto the watch itself. The SKX family includes a number of serial numbers (Seiko favour numbers over names which makes becoming an enthusiast something of a mouthful) but arguably the most recognisable is the SKX007. I have no idea whether the ‘007’ is an intentional link to the world’s favourite spy but I confess it was while searching for ‘Bond watches’ that I stumbled across it some years ago (to be clear, Bond did wear Seikos for several movies but never this model!). It’s a sports watch and frankly, that’s what it looks like. The dial features large, clear, blob-like markers that you wouldn’t describe as ‘refined’ but they certainly meet their intended objective which is to be as readable as possible in all conditions. The dial and Bezel backgrounds are black so it’s pretty inconspicuous as dive watches go and the narrative on the dial is minimal, keeping it to “Seiko, Automatic” and “Diver’s 200m”. The teeth on the bezel are fairly unremarkable - they’re neither sharp nor particularly smooth and don’t particularly draw the eye. And it comes on a rubber or steel Jubilee strap. Pretty standard stuff. So why do we all love it so much?! Well first of all, it’s a Seiko, and one thing that Seiko do right is quality. So the movement is sturdy, reliable, keeps good time, and the outer features - while not groundbreaking - are each finished flawlessly. They work well and they look pretty good. It’s a 200m watch which is way more than 99.9% of us will ever need (and that includes many pro divers), making it the watch you can pretty much wear any time and for any activity. One thing no one talks about often enough: the steel bracelet. I’d seen the Seiko jubilee in many a photo and had thought it to be a little too shiny and - given the price - I assumed it would feel cheap and lightweight. I couldn’t have been more wrong. Up close, it’s genuinely one of the nicest jubilees I’ve seen. The contrast of the brushed & polished steel links is better executed than most and they’re solid links too rather than wrapped steel so it has a great weight and an aesthetic you can really afford to show off. And it feels GOOD! The amount of bracelets - particularly jubilee - that I’ve worn for a day and spent half of that time wincing every time hairs are removed from my wrist is crazy, but this bracelet is different; the finish is excellent and couldn’t feel more comfortable on the wrist. Once you have the length right (take it to Timpson*/a jewellers for help with this) it feels custom-made and you almost won’t want to take it off. Final note on the bracelet: that clasp is never coming off. Beautifully simple. *side note: Timpson (British repairer of shoes & watches) have a poster in most of their windows with a giant, unbranded SKX007 in the window. The last word on this watch from me is possibly a little contentious with die-hard Seiko fanatics…it’s easily customisable. At around £200 (£200!!! For a perfect dive watch!!!) it’s the watch that enthusiasts feel most comfortable taking a risk with, so it’s not uncommon to see these guys in disguise. The dial is often switched-out, the bezel insert changed, even the bezel ring itself can be changed for teeth with a little more bite. 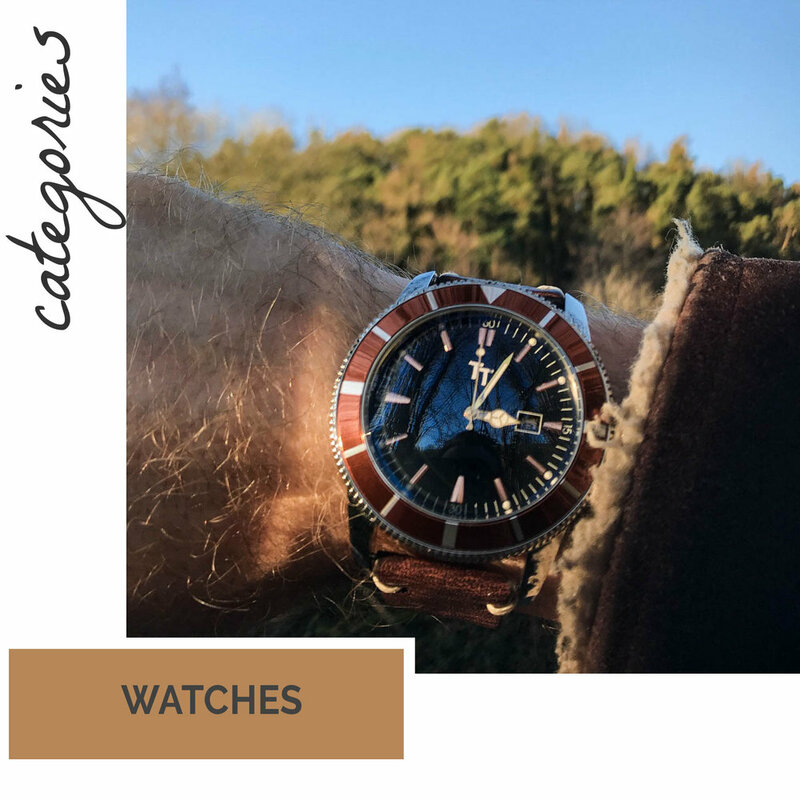 There are a handful of companies virtually dedicated to modifying this model and if watchmaking is your thing then it may even be something you tackle yourself. The one I own was modified by a company called Dagaz who specialise in custom parts and do so to a fantastic standard (mine was given a dial designed as an homage to James Bond’s Omega Planet Ocean and it’s an absolute corker). So the standard watch is a winner but what could be better than a perfect diver that you can make your own? Seiko SKX007 with Dagaz modifications.